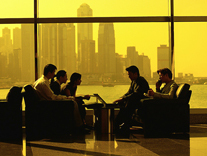 The Hira Group covers a wide and diverse group of business interests across the globe. From humble beginnings, we continue to expand and diversify without changing focus from our core values and partnerships. Continues to be manufacturing, sourcing and distributing a wide variety of consumer goods to retailers and wholesalers across the globe. With the marketplace fast evolving, we pride ourselves on our response, service and foresight to enable our customers to react to the change constant within in the marketplace. Our Texet brand continues to grow across markets and categories offering consumers design and value, we also represent other primary brands and assist them in development of their markets and channels. The group has diversified into property development & management, private equity, and strategic retail investments. © 2017 The Hira Group. All rights reserved.